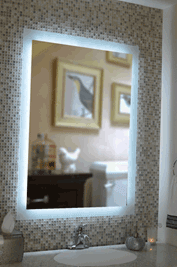 Add a contemporary look to your bathroom with backlit mirrors. Backlit LED mirrors are perfect for late night use. Angled downward to help people in wheelchairs see. Falls Glass carries decorative mirrors in many shapes, sizes, styles and finishes, including solid wood framed mirrors, frameless mirrors, lacquered mirrors, metal mirrors and more. Full length mirrors are perfect for walk-in closets, exercise rooms or gyms. 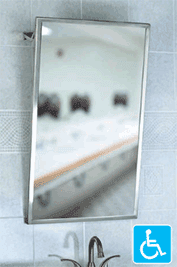 Contact us with the size mirror you need. We will be happy to get it ready for you. 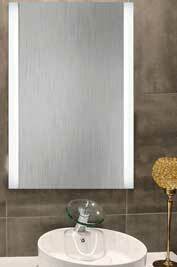 Stop by the Falls Glass Service showroom to view an array of mirrors on display. We can custom frame your existing mirror to match your decor for a finished look. From the simple to the elegant, we are confident that you will find our mirror selections perfect for the home, hospitality industry, apartments, assisted living centers, and hospitals.